Published July 12, 2018 at 12:05 a.m. Updated July 12, 2018 at 9:17 a.m. When Sugarland decided to return from its five-year hiatus, it knew it had to go big. The result, of course, was “Bigger,” the country-pop duo’s new album. The release has already spawned the singles “Babe,” “Still the Same” and the title song, and a tour that comes to Covelli Centre on Friday. 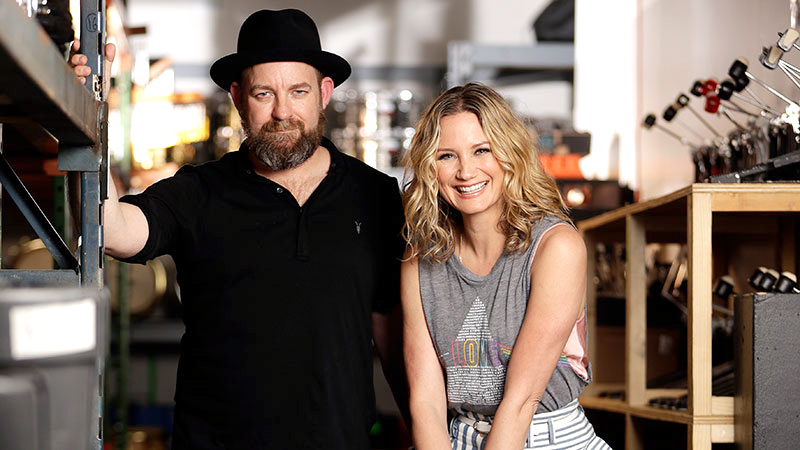 But while the new album has a big sound, Sugarland – Jennifer Nettles and Kristian Bush – didn’t feel the need to overdo it in the recording process. “The entire thing was done in three takes,” said Bush, in a phone interview from his Atlanta home. Bush said the new album was more about capturing the moment than making a calculated career move. It took years to write and record “Incredible Machine,” said Bush, and for good reason. Nettles now lives in New York, so the writing sessions had to accommodate the change. Despite the five-year layoff from performing together, the duo picked up where it left off, like it was just yesterday when they last played. “We were way up to speed,” said Bush. During their hiatus, Nettles and Bush stayed busy. Both released solo projects, and Nettles also launched an acting career, appearing on Broadway in “Chicago” and in the NBC Dolly Parton films “Coat of Many Colors” and “Christmas of Many Colors.” Bush most recently produced the debut album by Lindsay Ell. But the biggest change that occurred during that time was that Nettles became a mother. She and her husband had a baby boy in December 2012. As for getting the act back together, it was Nettles who first proposed it. The first song they came up with was “Still the Same,” said Bush. Friday’s concert will be Sugarland’s third trip to Youngstown, and as always, the act plans to connect with every person there. The set list will span the act’s career. Opening for Sugarland will be Brandy Clark and Clare Bowen – each of whom is known for their work in other artistic arenas. Bowen, a native Australian, is already well-known to country music fans. The singer-songwriter has played the role of Scarlett O’Connor in the CMT drama “Nashville” from its start. January 29, 2015 12:05 a.m.